Here in the thick part of the forest, you see just a bit more of the yellow leaves still clinging to their branches than out in the open areas. Away from the protection from the stormy wet, windy weather we have been having, the remainder of the autumn leaves are almost gone. Ferns ... such a great sign of the rainy forests of Oregon! Really gorgeous shot...such lush vegetation! 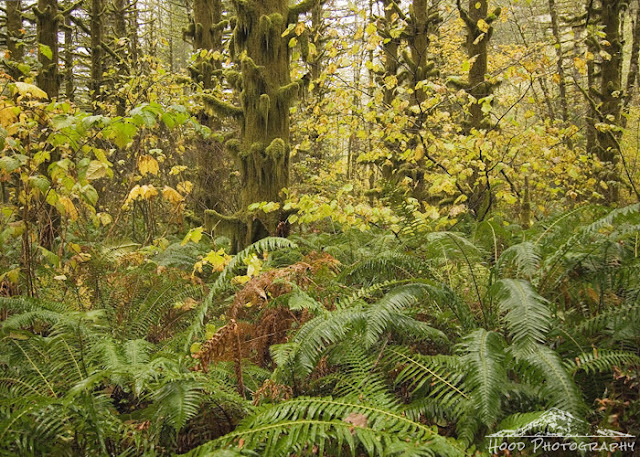 Love, love, love forest ferns. Great shot.